Real Deal Retirement » Blog Archive » Why Should I Buy An Annuity If I Can Do Better Investing My Savings On My Own? 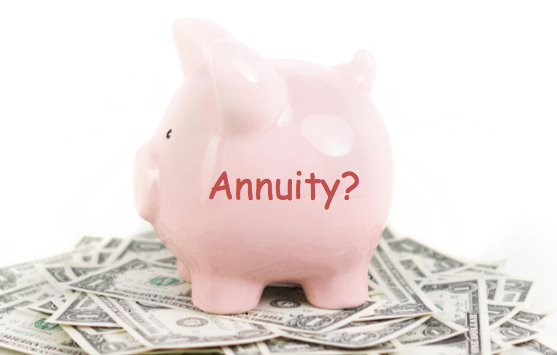 Why Should I Buy An Annuity If I Can Do Better Investing My Savings On My Own? Why should I buy an annuity for monthly income if I can get the same amount of income or more by investing my money on my own, and still maintain access to my principal? Is it possible for you to invest your savings in a way that would allow you to generate the same or even more retirement income than buying an annuity? Sure. But it’s not a given that such an approach would work, and you should be aware that it also has some potential risks. Here’s an example. Let’s say you’re 65 in good health and have $100,000 in savings from which you want to draw reliable income after retiring. You could buy an immediate annuity with that hundred grand and today you would receive about $545 a month guaranteed for life. Or you could invest your money in a combination of stock and bond mutual funds or ETFs and make withdrawals for as long as your saving last, which would depend on the rate of return you earn and how much you withdraw each month. If we assume you earn, say, a steady 5% annual return on your mix of stocks and bonds, you could draw $645 a month, or $100 a more a month than the annuity pays, and your stash would until about age 85. Drawing a bit less, say, $595 a month, which is still $50 more than the annuity’s payment, would allow your savings to last longer, roughly to age 88. But there’s still a better than a one-in-three chance that a healthy 65-year-0ld will live longer than that. In fact, even if you limited yourself to exactly the same amount as the annuity, $545 a month, your stash would run out just before age 93, an age a 65-year-old man in average health has roughly a 20% chance of living beyond. Of course, you might be able to draw more income for a longer period of time if you earn a higher rate of return. But that would involve taking more risk. You would have to invest more heavily in stocks, which would make your savings more vulnerable to market downturns, which in turn could shorten the longevity of your nest egg. And even if you’re willing to accept that higher risk, there’s no assurance you’ll achieve the higher return you seek. Indeed, given the relatively modest returns for stocks and bonds that some major investment firms are projecting for the next 10 years, even a 5% annual return on a portfolio of stocks and bonds may hardly be a cinch to achieve. Similarly, if your nest egg is so large that the amount you have to withdraw to cover your expenses is small enough that your chances of depleting your savings while you’re still alive are minimal, then you can probably get by fine without an annuity. (This retirement income calculator can help you estimate how long your savings might last at different withdrawal rates.) There would also be little point in committing funds to an annuity if your health is so bad that it’s unlikely you’d live even to the life expectancy of someone your age (although, if you’re married or have a significant other, you would also want to take that person’s longevity into account). Walter Updegrave is the editor of RealDealRetirement.com. If you have a question you would like Walter to answer online, send it to him at walter@realdealretirement.com. Follow Walter on Twitter at @realdealretirement.com.